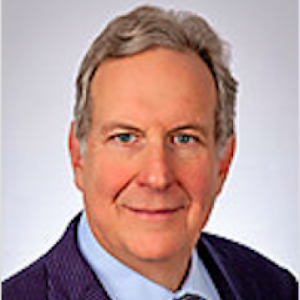 Ronald J. Falk, MD is an expert in glomerular disease, lupus, vasculitis, dialysis, ANCA-mediated vasculitis. Dr. Ronald Falk is former chair of the National Kidney Foundation’s council on glomerulonephritis (1995-1998). He has served in various capacities for ASN, including on the annual meeting program, training program directors, post-graduate education, and nomination committees. He was elected to the ASN council in 2006 and began his term as president on November 13, 2011. He was co-director of the glomerular disease course during Renal Week (now called Kidney Week) from 2000-2005 as well as a faculty member for the ASN Board Review and Renal WeekEnds (now called Highlights). Falk also served as deputy editor of NephSAP, an education journal for nephrologists. He initiated the ASN Kidney Week podcast series,which are on-site interviews that consistently rank as the most popular society podcasts. He is also a frequent host of ASN podcasts throughout the year. Falk played an important role in securing a $61 million Clinical and Translational Science Award (CTSA) from the National Institutes of Health in 2008. UNC is one of only 60 universities in the country to receive a CTSA. Falk was instrumental in designing the North Carolina Translational and Clinical Sciences Institute (NC TraCS), which is the home of the CTSA at UNC. He continues to serve as the chair of the TraCS Institute Study Section, which reviews all grant pilot funding. Falk also currently leads the UNC Solid Organ Transplant Program, a multidisciplinary clinical program that manages every step of the transplant process, from early identification of those in need of a new kidney, liver, heart, or lung to survive to their treatment, surgery, and recovery. ANCA disease remains a subject of great experimental and clinical interest. The subcategories of names and descriptions for this collection of vasculitides and necrotizing glomerulonephritides is still a subject of some debate. The various forms of ANCA disease share some characteristics, and similar therapies are often recommended for overlapping categories of disease. The immunopathogenic effects of myeloperoxidase and proteinase 3 antibodies are well established, and good mechanisms for initiation of disease are starting to emerge, particularly the role of autoantigen complementarity. Here we examine these various topics and discuss an approach to treatment. Unlike Goodpasture's syndrome with diffuse alveolar hemorrhage (DAH), there are few studies examining therapy for patients with DAH associated with antineutrophil cytoplasmic antibody (ANCA)-associated small-vessel vasculitis (SVV). Vasculitis is inflammation of vessel walls. It has many causes, although they result in only a few histologic patterns of vascular inflammation. Vessels of any type in any organ can be affected, a fact that results in a wide variety of signs and symptoms. These protean clinical manifestations, combined with the etiologic nonspecificity of the histologic lesions, complicate the diagnosis of specific forms of vasculitis. This is problematic because different vasculitides with indistinguishable clinical presentations have very different prognoses and treatments. Anti-neutrophil cytoplasmic autoantibodies have been found in patients with systemic arteritis and glomerulonephritis. We studied the disease distribution and antigen specificity of these autoantibodies. Anti-neutrophil cytoplasmic autoantibodies were identified by indirect immunofluorescence microscopy in 27 of 35 patients with idiopathic necrotizing and crescentic glomerulonephritis, in whom the manifestations of disease ranged from injury limited to the kidney to systemic arteritis. The incidence and titers of the autoantibodies did not differ between patients with disease limited to the kidney and those with systemic disease. Anti-neutrophil immunostaining was detected in 5 of 11 patients with lupus nephritis, 4 of 71 patients with other renal diseases, and none of 50 normal controls. This distribution of autoantibodies was confirmed by an enzyme-linked immunosorbent assay (ELISA) using neutrophil lysate as antigen.